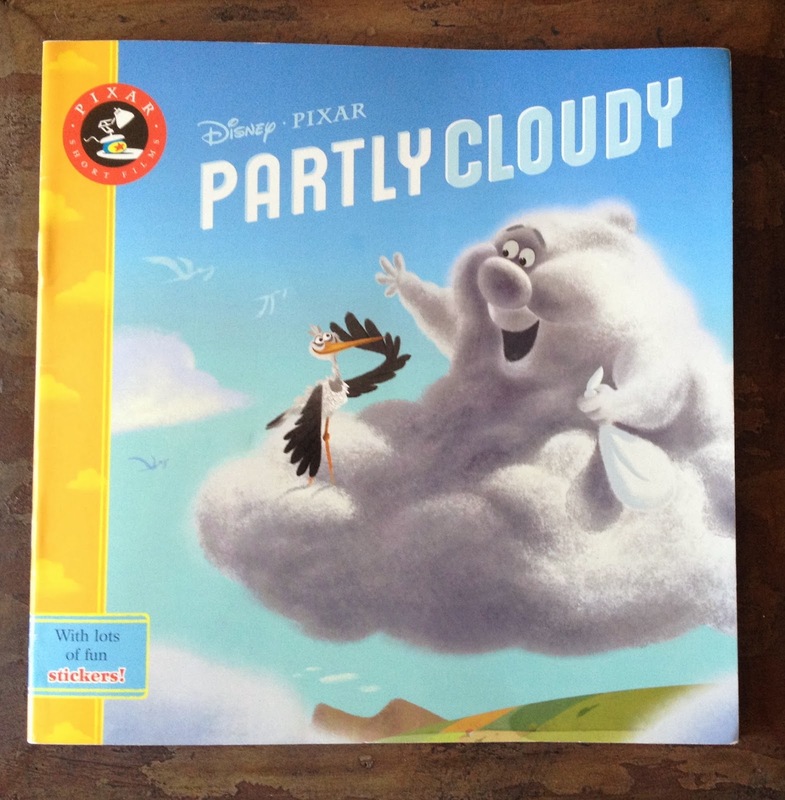 Partly Cloudy (Directed by Peter Sohn) has been one of my absolute favorite Pixar short films ever since it premiered alongside Up back in 2009. Its story, animation, character design, lighting, colors, music, etc. are all just nothing short of brilliant to me. It's an adorable film and and was, without a doubt, an instant classic! 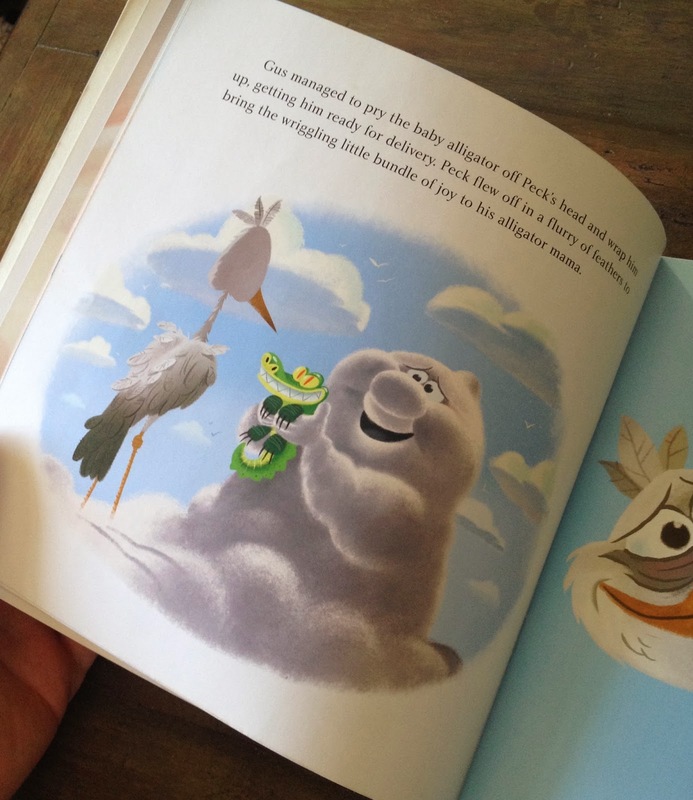 I was thrilled when Pixar (through Disney Press Publishing) released a softcover children's book based on the film to coincide with the short's release. 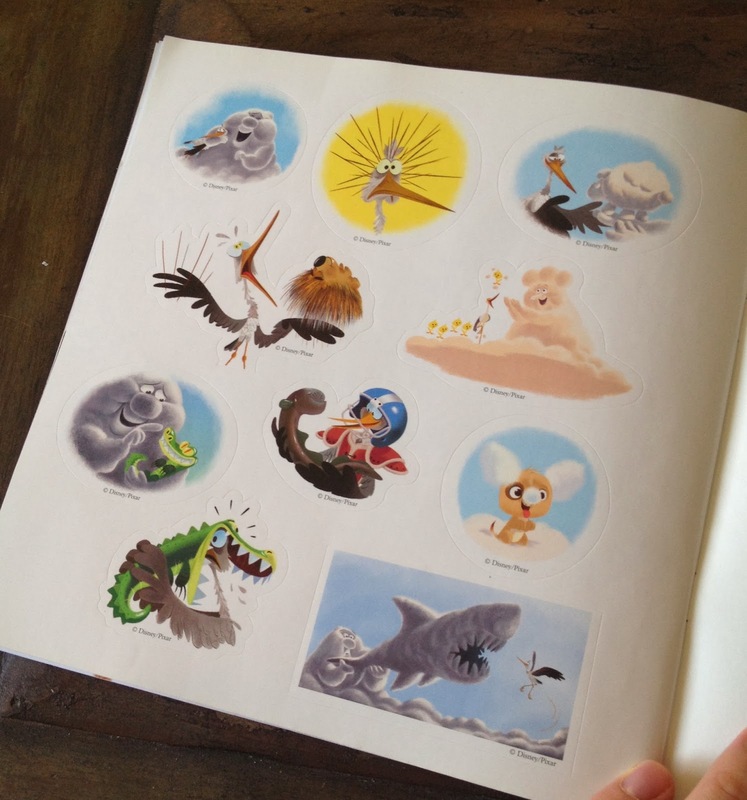 It's written by Kitty Richards, is 23 pages long, and is fully illustrated by Jean-Paul Orpinas and Caroline Lavelle Egan. 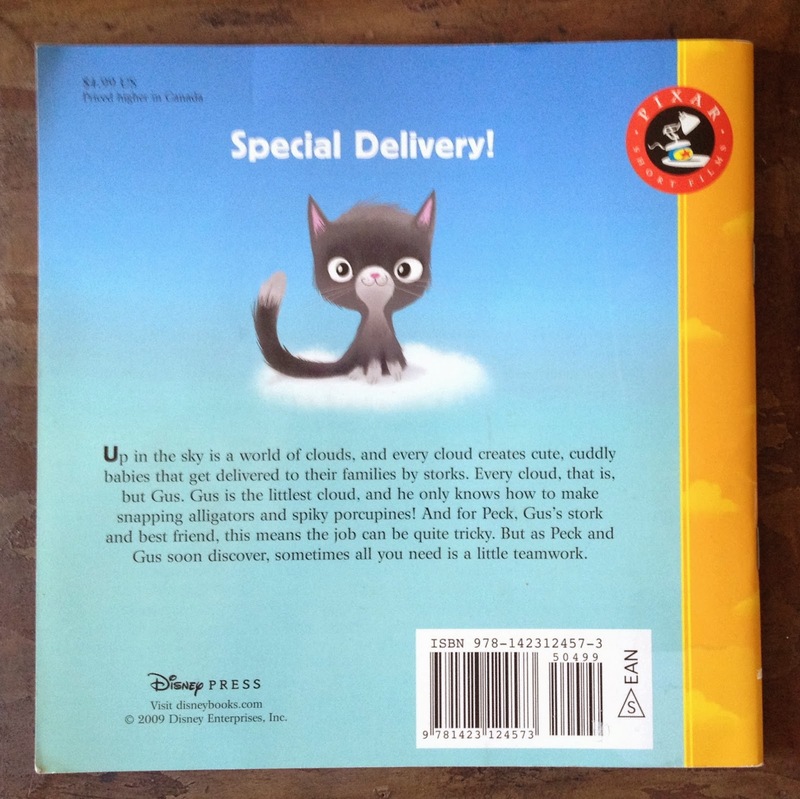 I also love the "Pixar Short Films" logo in the corner of the front and back covers. 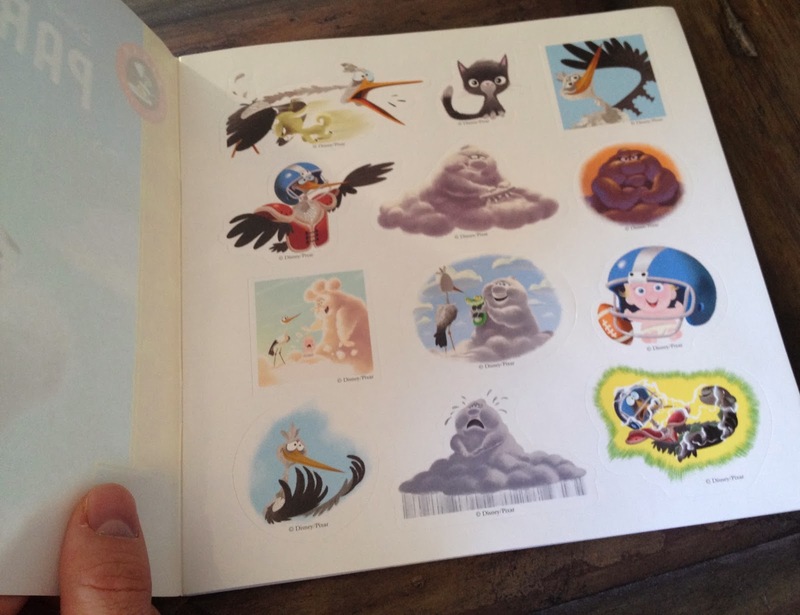 It seems to me as though this was to be part of a collection of books based on the short films, but perhaps it didn't take off like they thought and future releases were cancelled? Of course, that's just speculation. 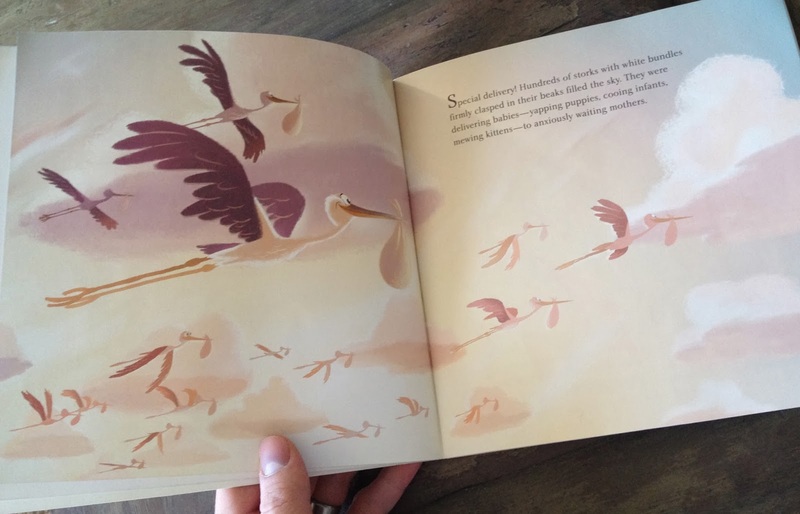 I love the illustrations (they're totally the style that I love) and the use of the soft/pastel color scheme. 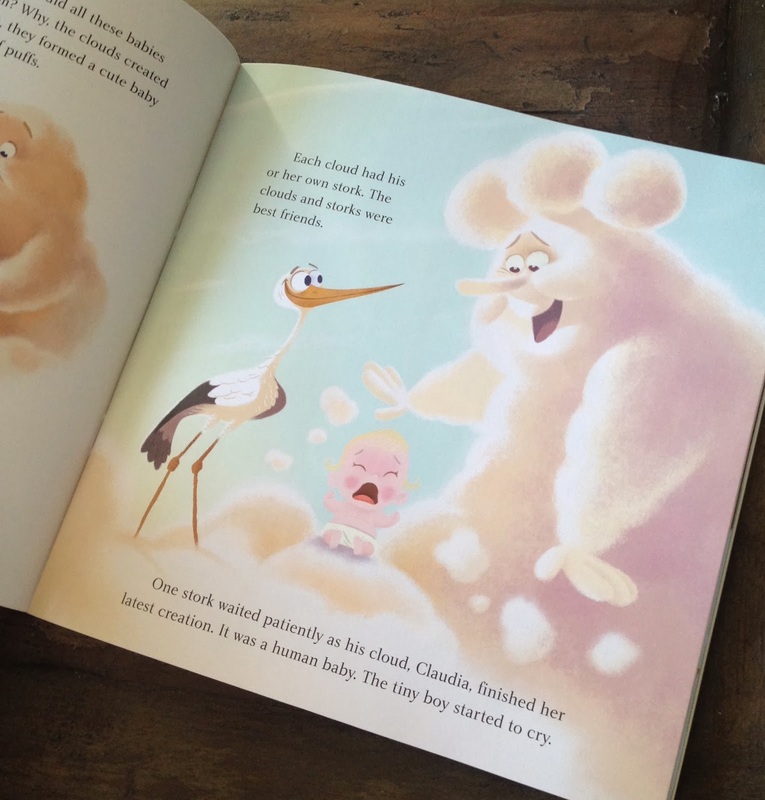 The pictures really capture the heart of the film and are a very similar style to what you'd see in a "little golden book." Are you a big fan of this short film or of Pixar in general? Well then, definitely pick this up on Amazon! To buy it new is a bit pricey since this book is quite a few years old at this point, but you can get it used (and in good condition) for much cheaper. You won't want to miss this one since they're really isn't any merchandise for this short film (aside from some Disney/Pixar pins). Absolutely! Yay, glad I could help and glad you picked it up! Where at, amazon? Yup, Amazon - they had the best deal between there and eBay.